Our state of the art facility includes 12×12 matted stalls, a 120 x 240 covered arena with excellent footing, restrooms for our customers, and even hookups for horse trailers whether you are trailering in for an event or show, or need a place to layover while en route to your next destination. Our covered arena is spacious with plenty of room to ride! Traveling? No problem! 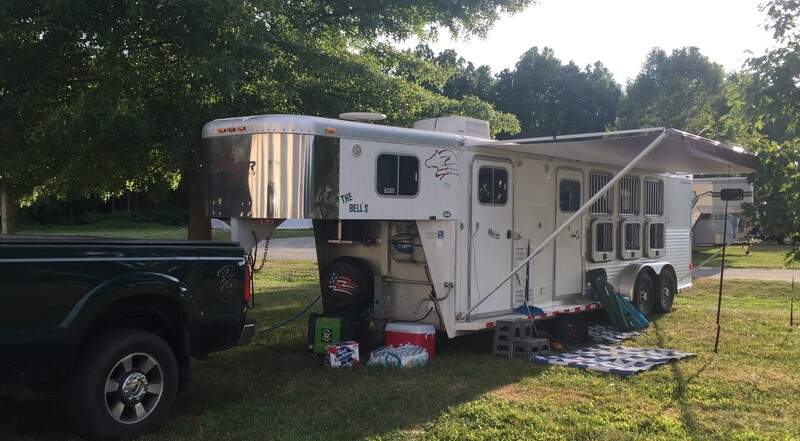 We have room for layovers, both equine and human, and even have RV hookups for your living quarters trailer so you can stay on site with your horses. Regardless of where you are headed to or from, we’re conveniently located near I-64 and not far from I-95. Come stay with us on the way to your next great destination!